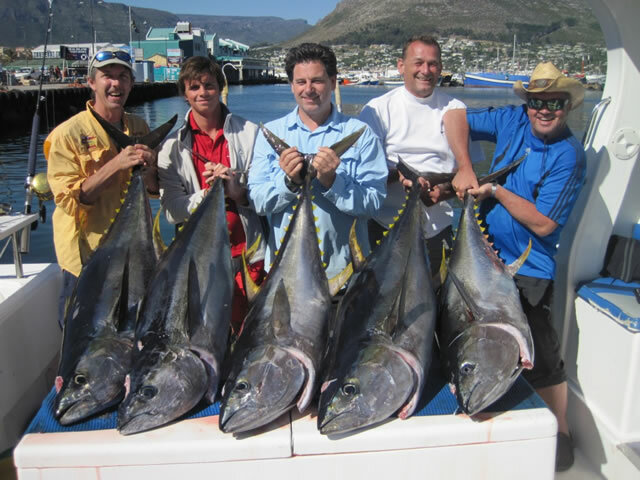 For fishing enthusiasts, the Southern Africa coastline offers excellent deep sea fishing opportunities. 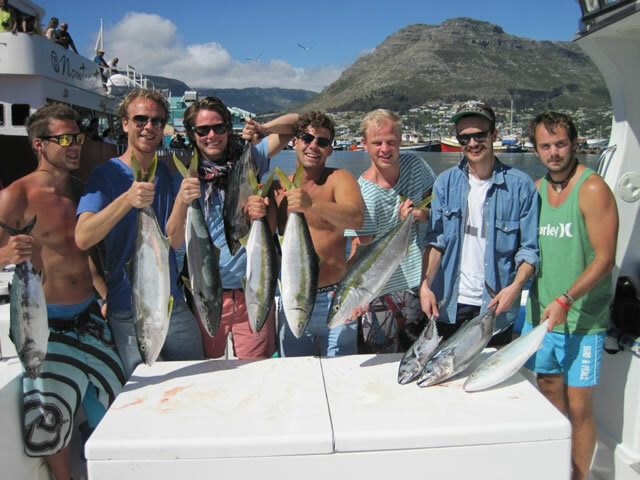 Fully rigged boats with excellent skippers and knowledge of the local waters are available according to the number of passengers in the group. 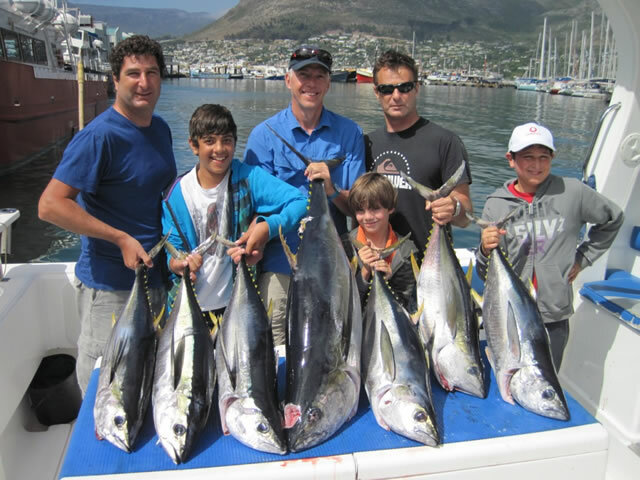 The Cape has some of the richest Tuna grounds in the World today. 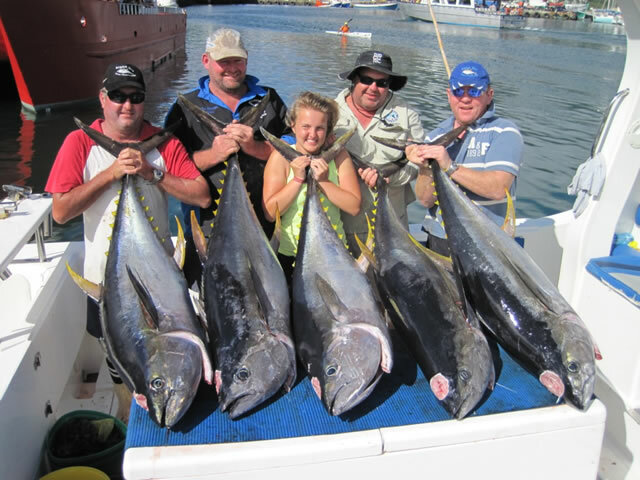 The Yellowfin Tuna found in the Cape waters often top the scales at 80 kgs plus and we catch Longfin of 20 kgs plus. A day out in the deep will long be remembered as it brings you into contact not only with one of the worlds toughest fighting fish but also into a diverse ecosystem. Out in the warm water currents, you will get the opportunity to see numerous species of Albatross, Killer Whales (Orca) and Dusky Dolphins. 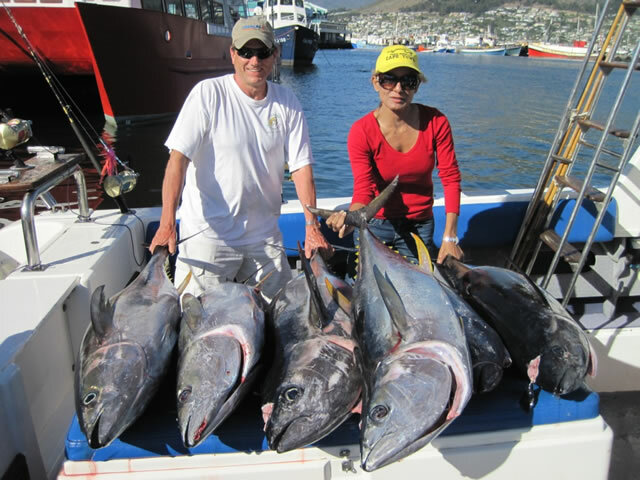 The Tuna season runs from Sep to June, with the best times being at the beginning and end of the season. Cape Yellowtail is a member of the Carynx family and is a formidable fighter. We normally find these fish around the infamous Cape Point, which offers the visitor the opportunity to see this landmark from a whole new angle. We tend to incorporate this fishing day with a bit of Crayfishing (West Cost Lobster) and one can expect a decadent Crayfish lunch on board. Season runs from May through to November. 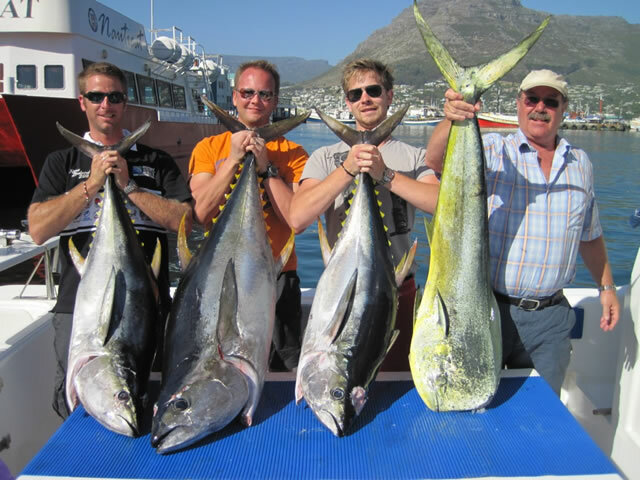 Snoek are the only fish that are available during the winter months. This underrated game fish moves into our waters in huge quantities during the months of May to September. We generally tend to find them at depths of around 15-20 meters and they provide the keen fly-fisherman with a worthy challenge on the fly. The fish are generally in the 5-7 kg class. This fishing is for everyone including complete novices. Tuna fishing takes a full day, 30 miles out to sea, so if you do suffer from seasickness then please inform us so we can provide you with the necessary precautions before coming aboard. Other species that are targeted off the peninsula coastline are: Blue Sharks, Dorado and Mako Sharks. Daiwa stand up rods with both Penn International and Shimano reels are supplied for conventional fishing.